I was at the perfect wedding this week. The sun was just setting golden in the sky as the bride was greeted by her dad and walked toward the beach. I'm on the polo field in Mokuleia. 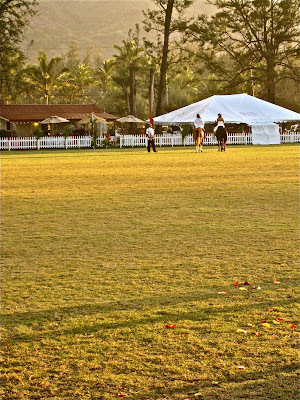 Remember, I was just there last month for the opening of polo season.